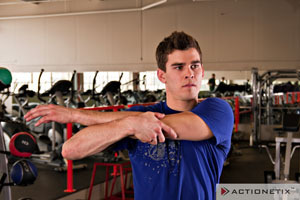 Here are images of a number of common upper-body stretching exercises. This is by no means an exhaustive list of stretches, however it is a large selection, which illustrates good form. For lower body stretches, click here.